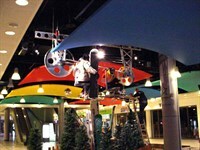 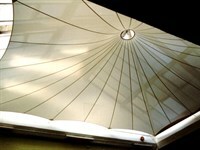 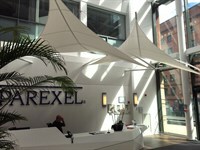 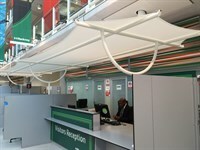 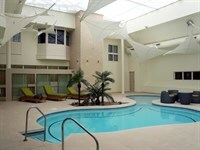 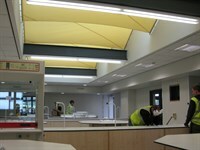 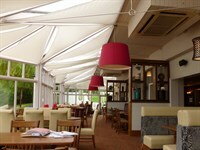 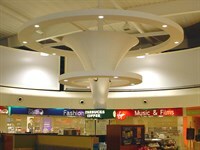 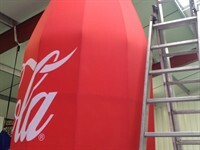 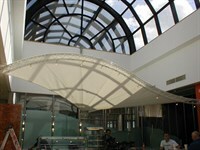 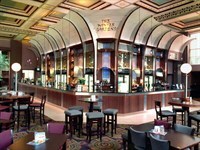 Interior TensileFabric structures take on many forms and often require that extra special attention to detail. 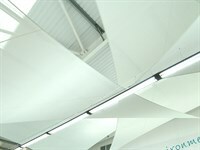 Our wealth of knowledge of fabrics, and the way they perform internally, means we understand how they should be best used, can foresee any pitfalls and find the solution yielding the best result. 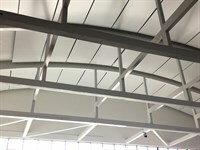 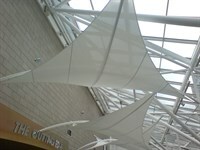 For example, a fabric sun shade demands that the structure is the right shape, orientated to screen the tracking sun, made from the correct material to keep enough visible light out, while also being easy to clean and ultimately attractive to look at. 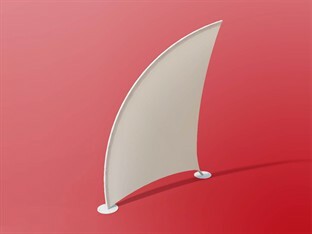 All these aspects make it a lot more than just a sun shade. 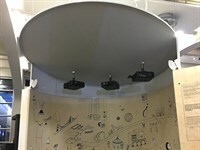 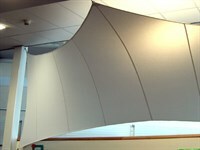 Other solutions, like acoustic screens, are also becoming more desirable, as newly designed spaces tend to lack sufficient sound-absorbing materials. 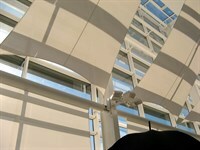 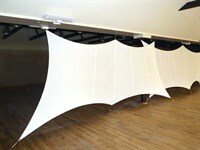 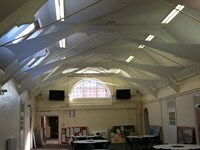 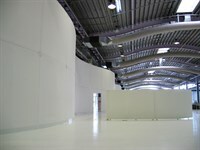 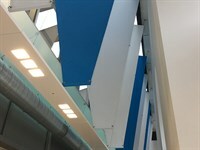 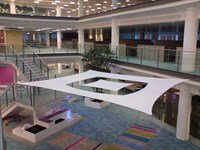 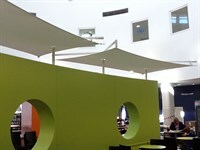 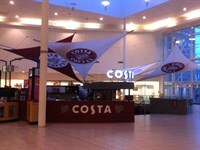 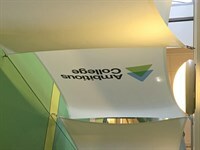 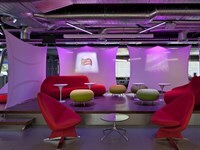 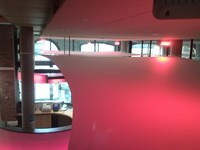 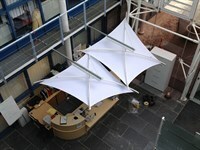 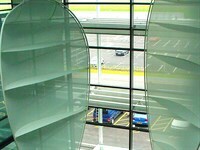 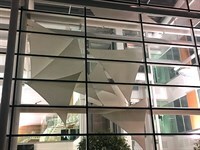 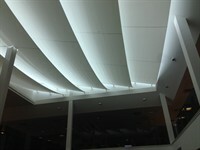 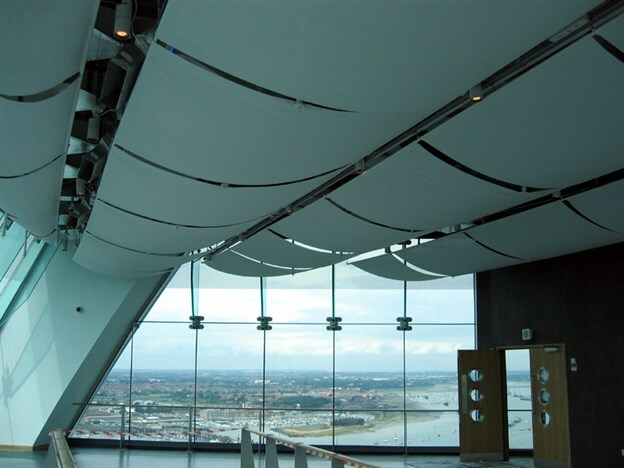 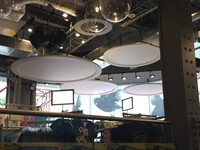 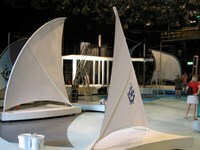 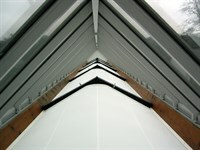 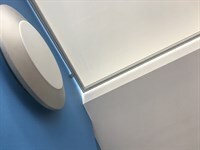 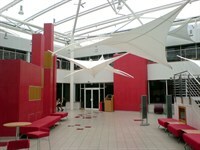 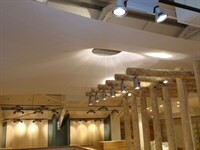 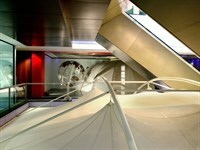 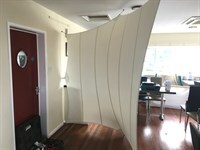 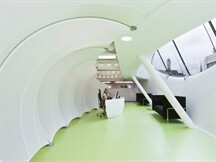 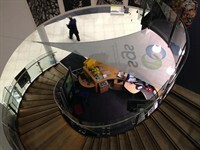 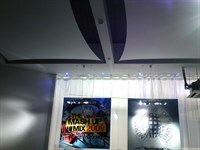 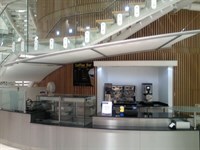 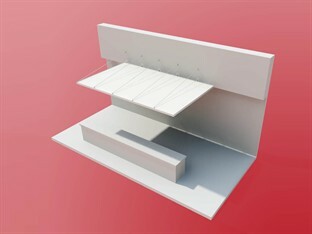 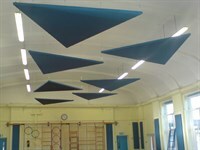 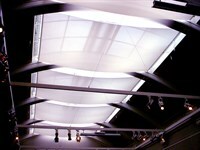 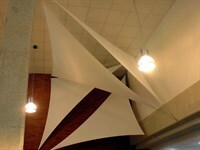 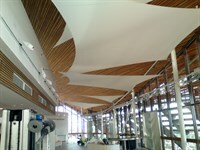 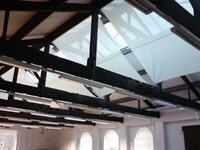 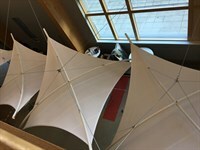 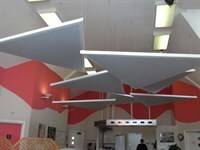 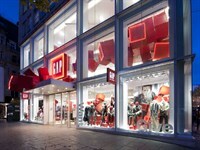 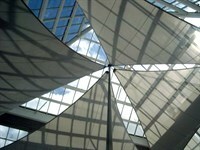 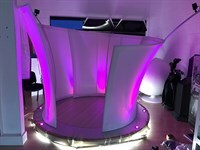 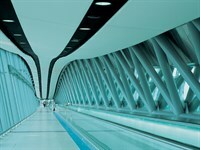 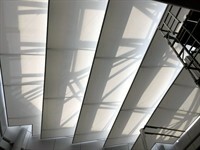 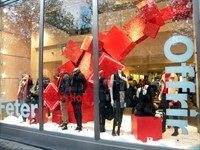 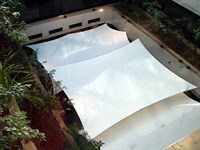 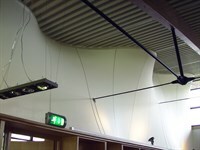 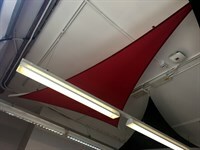 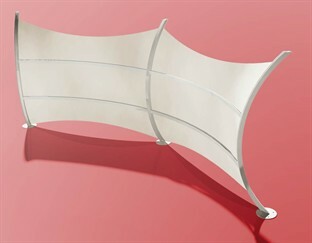 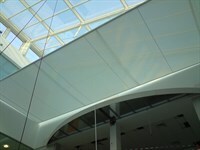 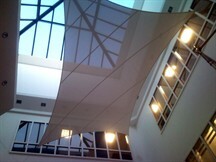 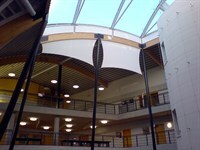 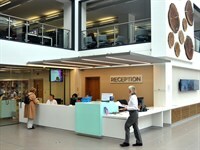 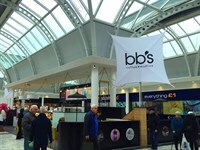 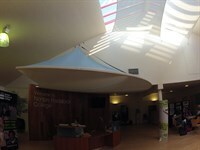 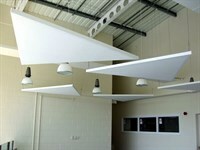 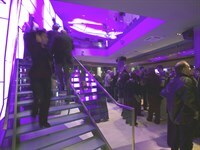 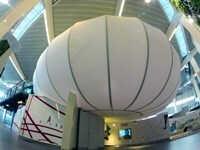 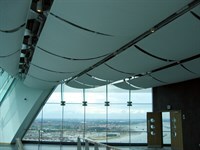 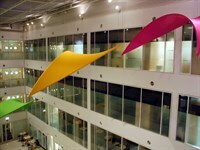 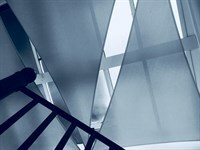 Acoustic sails or screens can reduce reverberation times as well as visually soften hard spaces.